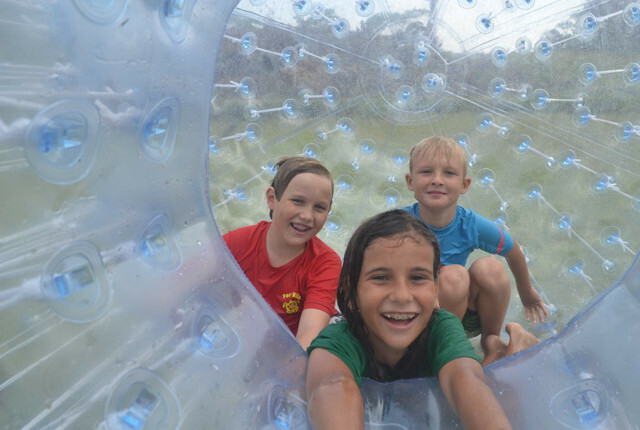 Take a fun-filled zorb ride down the hill at the Wet’n’Wild Water Park it is set on a beautiful hillside overlooking the Pacific ocean the whole family can enjoy a spin in the zorb. 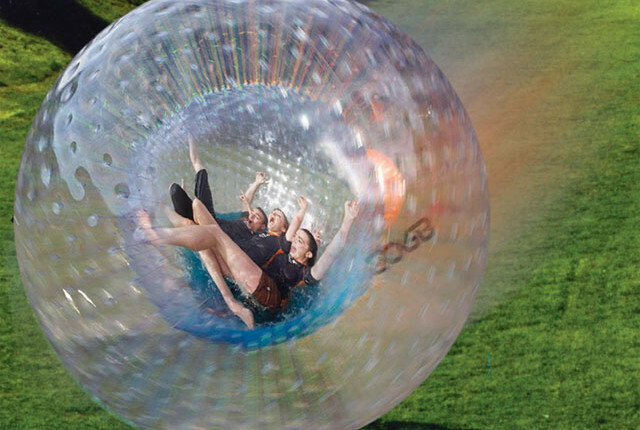 Can you have any more fun than rolling around in a 4 meter inflatable sphere half-filled with water? The 90 Meter Slippery Water slide is awesome too! 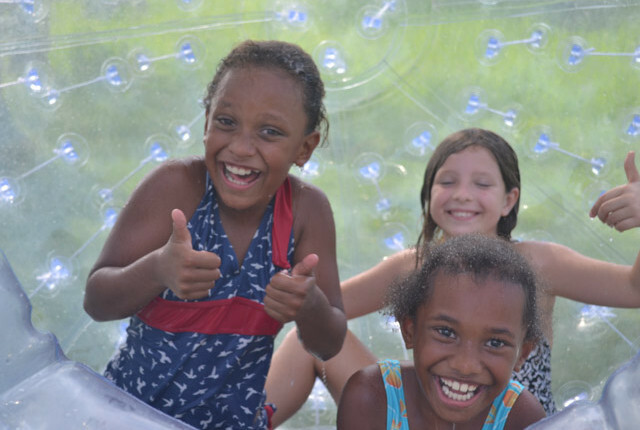 This tour you get 3 rides in a zorb plus as much Slippery Water Slide you can handle, therefore this is a great way to spend the day at a water park and not break the bank with the kids. A great place to spend time with the kids in paradise. There is a Cafe on site where you can cool off with an ice-cold drink or grab a snack between rides. 9:30am pick up. Return approximately 12.30 unless you are still going on the slippery slide! Note: Pickup is from the Big Blue Diving Office next to Nambawan Cafe. Includes transport form Port Vila to Wet’n’Wild Adventure park on Devil’s Point Road. There is a cafe on site selling cool drinks and snacks. 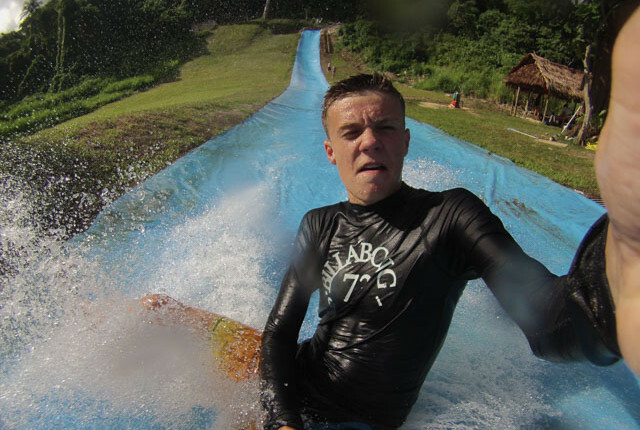 Wet’n’Wild Adventure park is located in a picturesque setting on Devil’s Point Road. Pickup is at 9:30 am from the Big Blue Diving Office next to Nambawan Cafe. Pick up point is at Big Blue Dive office next to Nambawan Cafe on the Port Vila Seafront.